Make a Countdown From Wood Slices For Any Event! 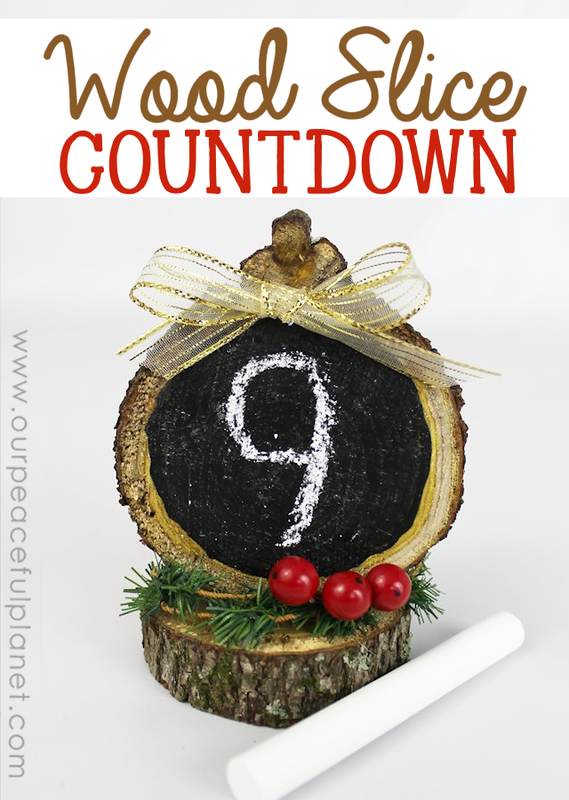 Here’s a fun way to make a countdown from wood slices to some special event that’s coming up! Maybe a holiday, or someone coming to visit. Maybe its a long awaited vacation or days till you buy that special something you’ve been saving for. And of course the kids always count the days until school is out. Whatever the occasion this little countdown is a fun way to keep track of the time until it happens! It’s a lovely small piece that can sit anywhere to remind you of the wonderful things in your future. I love your tree rounds, and the chalkboard is so adorable. So cute! I have a mesquite log from my parents old home that I need to cut into slices and do something with. I think a few can be spared to make this. Thanks Audrey for stopping by and commenting! These are so adorable. Now I am going to have to bug my husband to cut me some wood circles. Thanks for linking up on #HomeMattersParty this week. Hope to see you link up again next week. Next: Why Going Barefoot is Best!